Though the Oculus Rift has a lower price tag than the HTC Vive (before adding in Touch controllers to level the playing field), the latter is beating the former in sales by a ratio of 2:1, according to Epic Games founder Tim Sweeney. The reason, he says, is because the Vive is based on an open source platform. Sweeney offered up his take on the state of VR and personal audit of headset sales in an interview with Glixel. Without mentioning where his numbers are coming from, Sweeney said there have been 500,000 VR headset sales to date, which he thinks will "grow by a factor of two or three or four, every year" until that number reaches 200 million units. While he was not entirely clear about this, it appears that Sweeney was including "several million smartphone VR units" in his estimation, though not PlayStation VR sales, which he says he doesn't have a number for. 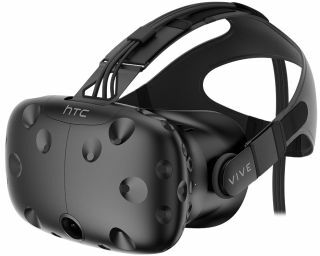 Regardless of the breakdown, when it comes to the Rift and Vive, Sweeney heavily favors HTC's solution. "When you install the Oculus drivers, by default you can only use the Oculus store. You have to rummage through the menu and turn that off if you want to run Steam. Which everybody does. It's just alienating and sends the wrong message to developers. It's telling developers: 'You're on notice here. We're going to dominate this thing. And your freedom is going to expire at some point.' It's a terrible precedent to set. I argued passionately against it," Sweeney said. Sweeney has a history of speaking out against what he perceives as walled garden approaches. On numerous occasions he's criticized the Windows Store and Microsoft's Universal Windows Platform (UWP) initiative, most recently saying that he thinks Microsoft will make Steam "progressively worse" with Windows 10 patches. The open platform approach is also why Sweeney thinks the Vive will continue to outsell the Rift. He also predicts that other completely open headsets will come to market and that "ultimately, the open platforms will win." He had much more to say on VR and gaming in general, which you can read here.